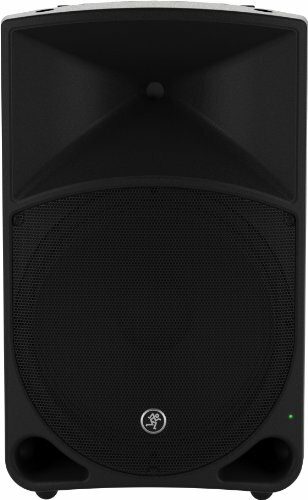 What Are The Best Bose Speakers For My Church? Recently I came across a website offering portable church packages. At first, I thought it was a great idea until I saw the price tag they were charging for their “mobile church” packages. I thought to myself. There has to be a better way. Moreover, there is. I took my years of church planting experience and my years of knowing what it takes to provide a church service and came up with a DIY or “do it yourself” guide to portable mobile church equipment. It doesn’t have to cost you 25 grand or more to put together a mobile church setup. (That is what one company was charging for their smallest system.) It just takes knowing what equipment you need and where to get it. I have made this easy for you. I am going to give you a complete list and provide you with all the links you need to purchase the equipment you need from Amazon and have it shipped right to your doorstep. In a matter of a week or two at the most, sometimes sooner, you can have all the ingredients necessary to have a complete portable church ready to go. I have planted two churches in my life. I have also resurrected a 3rd church that was a replant. Never in my life have I had 25 thousand dollars to dole out to someone just for equipment. In my first church, we were given a 12,000 dollar budget for the first year. This included rent, utilities, and whatever else we might need. That doesn’t come close to what these portable church providers want for their so-called packages. My second church was started with 3,000 dollars. Yes, just 3,000 dollars. So let me share with you a little of my expertise on church planting and equipping your church plant or campus church. Hopefully, you will find that my advice helps you be a good steward of the finances God has given you for your church. Listen, if you have a large budget and somebody is financing you up to the hilt, then you might want to consider those professional portable church packages. It is effortless and you don’t have to think about it. You get the trailer, stage, sound system, and all the other components needed in a mobile church package. However, you do so at a price. So if you are so inclined, go for it. Some people are pleased with them. However for me, that type of money was never available, and even if it were, I would want to spend it on outreach and investing in the new church rather than in shiny equipment. For me, and if you follow this guide, it makes a whole lot more sense to develop my mobile church package myself. You will save money. You will not be purchasing the equipment you do not need. You will understand how everything fits together. That makes a whole lot more sense to me. The first thing you need to do is think through your equipment needs and how that equipment affects different parts of your set up and tear down process. You would be well advised to stay away from just putting any old system together and hunting down used equipment on Craigslist. It may be cheaper, but it will not be sustainable. It will cause more headaches than it is worth. The first thing you need to consider is making things as easy as possible for your volunteers. Most of the people who will volunteer to help set up and tear down your church equipment will not be experienced in doing so. That means you have to keep it as simple as possible. 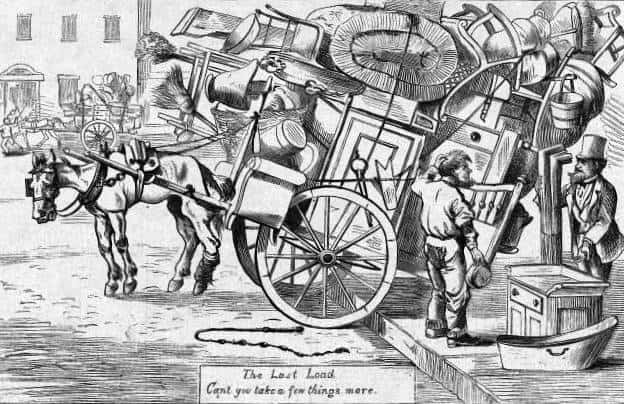 The more equipment, connections, and steps they have to take in making everything work, places a burden on your volunteers. That is why I am going to recommend things that place ease of setup over the highest quality or latest fad. The last thing you want is to become the only volunteer that sets up the church every Sunday because the job is too complicated for an average person. The first thing I am going to recommend is that you cut the cables wherever you can. One of the most time consuming and confusing things to set up a mobile church is running all the cables. Between all the mic cables, cables running to the soundboard, cables running from the soundboard to the power amp, and the cables running from the power amp to the speakers, and then the cables from your computers to your video projector or flat screen monitors. Cable hook up is a pain. Eliminate all that time and frustration by going wireless. I will show you how further down in this article. Another consideration is how and where you are going to store all your equipment. If you have on-site storage, then your needs will be different than if you have to pack up all your gear and store it someplace else. Also if you live in an area with severe climate either hot or cold, you will then have to store your equipment in a temperature controlled space. Extreme heat or cold is not good on your gear. So you may need a utility trailer, and a storage facility if you do not have on-site storage capacity. Another consideration is how you are going to move your equipment and how you will protect it. You are probably going to need some equipment carts and some equipment cases. Equipment carts will help you move your equipment to where it is going to be used. For instance, if the stuff is going to be used on the stage, then you need a cart designated for that area and another cart for the equipment at the back near the mixer and computers. The same holds true if you also have a portable children’s ministry and a portable welcome table. Here is a checklist of all the equipment you will need. At the end of the list will be a link for you to download a pdf of this list for your use offline. For a convenient checklist of all these items click here for a pdf download. 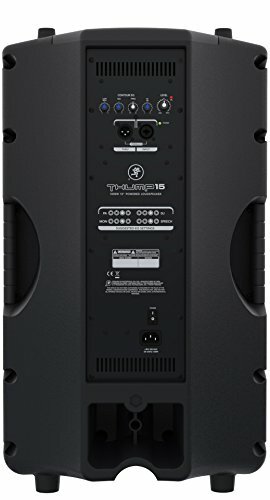 Although I recommend going wireless with your sound system, I get the fact that you may be on a budget and cannot afford going wireless yet. If that is the case, I do want to recommend some all in one portable sound systems. I am not recommending the cheapest ones. 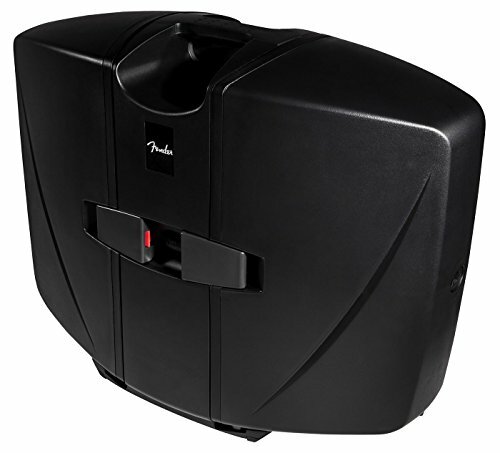 I am recommending reliable ones at a decent price by manufacturers that I have come to trust over the years. Don’t expect top-notch professional sound like you would find at a mega-church. You will get good sound at a decent price out of these systems. 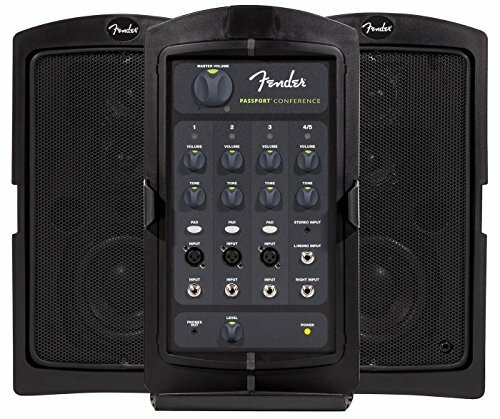 The Fender Passport is a small all in one PA system. It has five channels which are good for a couple of vocals, a guitar and a keyboard. That is not a lot, but when you are first starting out, that is all you need. It comes with the speakers, mixer, speaker stands and a couple of cables. Fender is a great brand name with a good reputation. There will come a time, Lord willing, that you will grow out of this system but if you have to start with a small budget, you should be well served by this portable sound system. 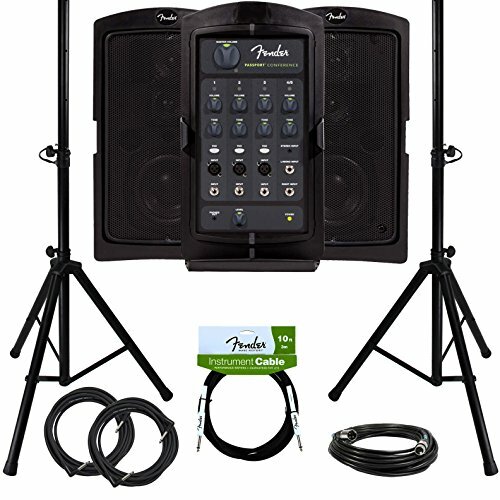 For just a little bit more you can upgrade to 8 channels with the Peavey portable PA system. It has seven mic/instrument inputs and 1 line input. 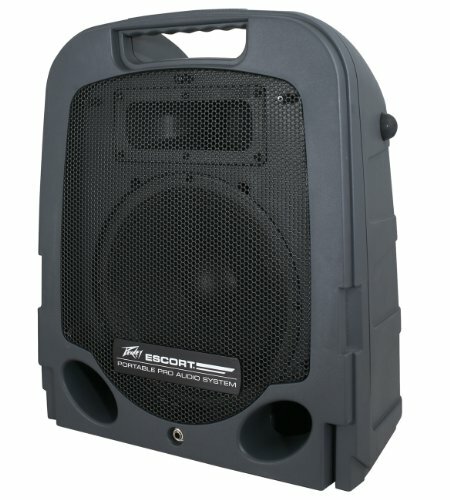 It has a rugged wheeled carrying case, speaker stands, speakers, and mixer. 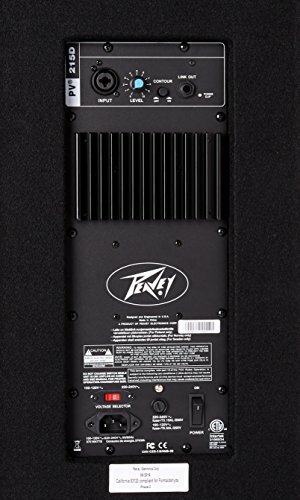 I have been using Peavey products for over 40 years including some Peavey pro sound equipment. You will get good use out of this system. If you need a portable sound system that will handle a few more instruments or vocalists, then the Yamaha portable sound system is the one you want. 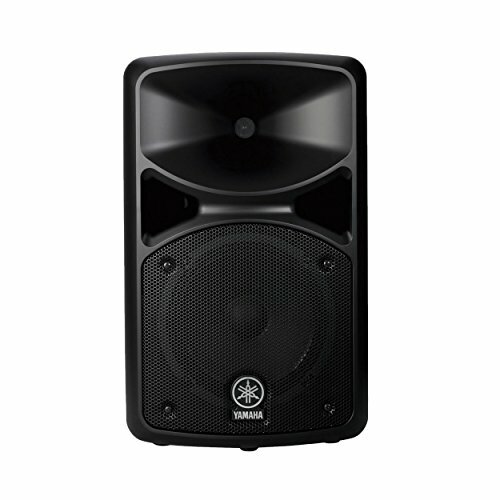 It has a ten detachable channel mixer, along with two speakers, stands, and all the quality that you have come to know from Yamaha. It also has a feedback suppressor and a quality EQ. Over the years I have come to love Yamaha products. They are some of the most reasonable products on the market yet you still get excellent sound quality. There is some debate as to which type of mixer, analog or digital, sounds the best. However, when it comes to portable church systems, the question is not what seems the best but what is the easiest to operate and set up. Because of that, if you can afford it at all, I recommend you go with a digital mixer. Your entire setup is almost wholly done once you turn on the power. There is no need for the lengthy sound check. You can program all of your sound settings once, and they will be stored in the mixer. This can shave off as much as 30 to 45 minutes every Sunday of your setup time. I have done a complete article on digital mixers that you can read here. Again I am going to recommend that you go wireless with your mics. If you feel you need to have corded mics or decided to use one of the portable PA systems I recommended above, then I suggest you go with the industry standard workhorse, the Shure SM-58. The SM-58 has been the industry standard for years for overall use and reliability. It works great as a speaking microphone and a vocal microphone. You won’t go wrong with this mic. However, there are many options when it comes to wireless microphones. I have done a complete article on wireless vocal mics, lapel mics, and headset mics. I suggest you read that article and decide which mic system or systems would be the best for your situation. Again I am going to recommend a wireless monitoring system. 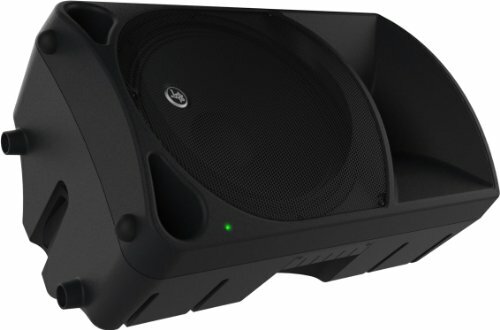 However, if you do not want to use wireless in-ear monitors, then I suggest the Kustom KPC4P Powered Monitor Speaker. They are a pretty standard powered floor monitor. You can use 1 or more to give sound to your musicians. However, if you want to go light and wireless, I suggest you look into wireless in-ear monitors like the ones I have recommended in this article. This system is not only compact, which is essential for a mobile church, but give the most control to your musicians, once again shortening your set up time. 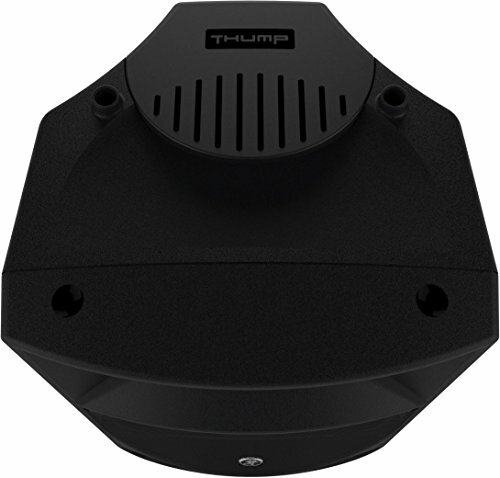 In a traditional sound system, you have a power amp that gives the power to make the speakers work. In a portable system, I recommend that you use powered speakers and have one less component to set up. Remember, fewer cables and fewer parts mean less work for your volunteers. Once again I am going to suggest a couple of powered speakers for you to consider. They are not the cheapest, but they are from reputable brands in the pro-sound market. 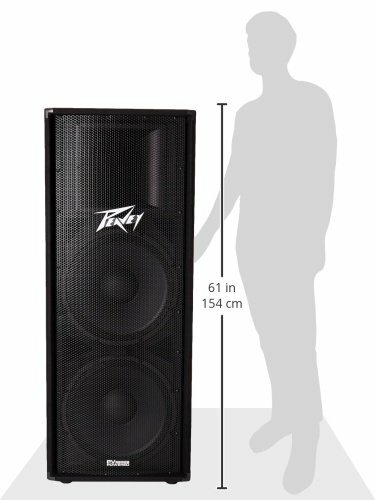 Peavey makes a great powered speaker system. 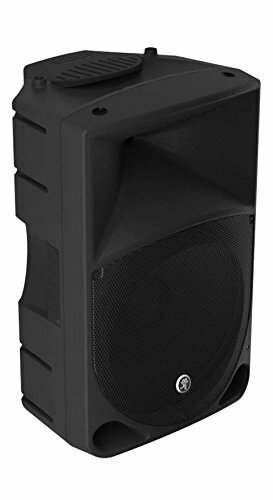 These powered speakers deliver 400 watts of power which is louder than you will ever want your church sound system to be. The setup is effortless with 1/4 inch input jacks. Founded in 1965, Peavey is one of the world’s largest manufacturers and suppliers of musical instruments and professional sound equipment. 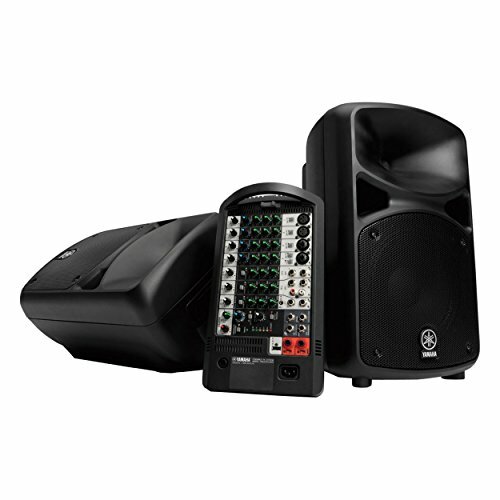 Mackie is well known for making quality sound products at a reasonable price. We have a Mackie mixer at my church. It is a great mixer with lots of features. 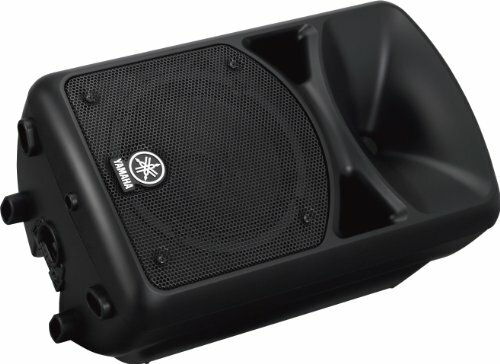 The Mackie speakers will give you 1,000 watts of power for your portable church. You could fill a small arena with sound with that much power. 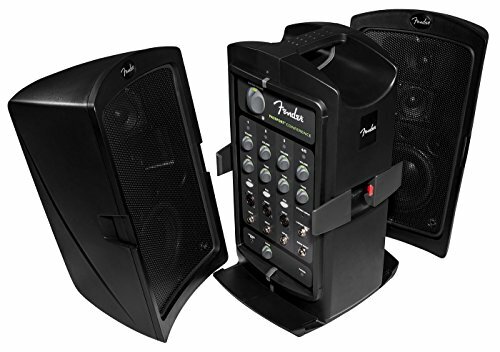 This system not only includes the powered speakers but comes with speaker stands as well. If you want to go mostly wireless but still want to have some instruments plugged in, then you might consider a digital snake like the Behringer S16. 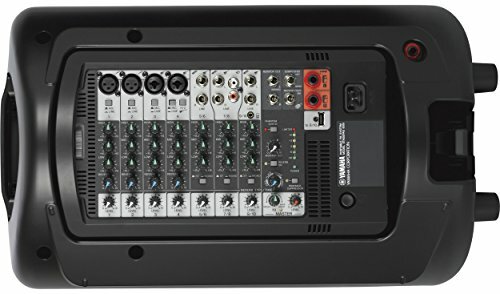 What a digital mixer does is eliminate all the cables going to and from the stage to the soundboard and replaces them with 1 Cat 5 cable. You plug in your instruments and mics into the digital snake, and it sends all the signals to the soundboard and all the signals from the soundboard back to the digital snake. 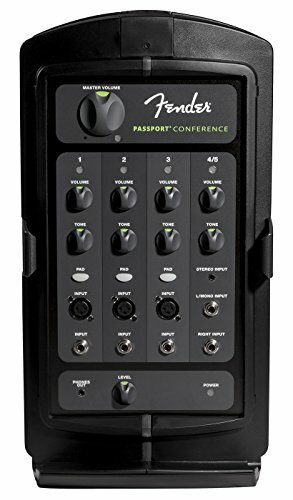 This primarily works well if you are using a digital mixer, but will work with an analog soundboard as well. To complete your wireless portable church set up, you may also want to invest in some wireless instrument transmitters. These can be used to send signals from your guitars and keyboards to the soundboard and used to carry the mixed signal from the mixer to your powered speakers. You might also consider these options. Church Translation Systems for people who do not speak the language of your services. Assisted Hearing Systems required for any church by the Americans With Disabilities Act. Finally, you will want to protect your equipment in a robust audio rack mount and case. 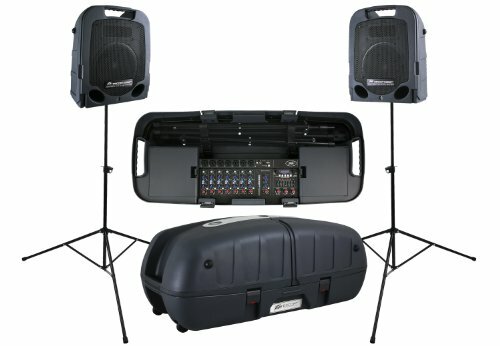 This way your sound equipment is not left out and unprotected. It also makes for much better packing and unpacking experience. All the stuff fits in cases. Sound equipment is only one aspect of putting together a mobile church package. The next step is to decide what type of multimedia ministry you are going to provide for your congregation. Here are a few questions to ask yourself before you start putting your video equipment together. Are you going to project the words to the songs on a screen or monitor? Are you going to make video announcements? Will you be live streaming your services? Depending on how you answered these questions, you will need one or more of the equipment I am going to talk about below. You are going to need at least one computer. For a portable church project, I recommend a laptop. It is smaller and more straightforward to set up. Again, it is all about simplicity and time. The first thing you will need to decide is how you are going to display your multimedia ministry. 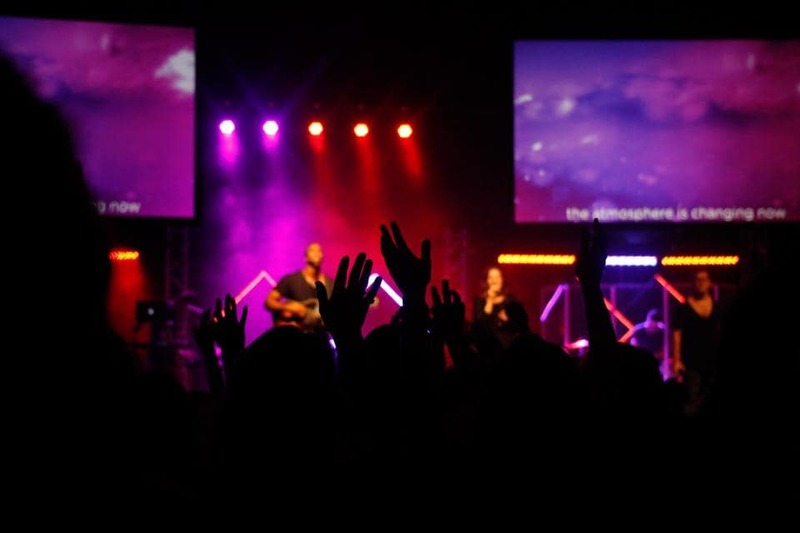 I have written an article on how to choose between flat-screen monitors and projection systems for stationary churches that will give you a little insight into your choice. For a portable church, I don’t like the flat screen option because monitors are fragile and there is not a good way to protect them while traveling. Depending on the size of the room you are meeting in and the shape of the room, you will need 1 or 2 projectors if you go with the projection method of displaying your multimedia ministry. I have written an article on projectors for small to medium size churches. You will find a lot of helpful tips on how to choose the right projector for your portable church setup. If you do decide on the flat screen option or have figured out how to protect your monitors while in transit, then I have also written an article on how to choose the best flat screen monitor for your church? It should give you some helpful tips on how to select the right monitor for your portable church setup. One way to save a little money is to use the carts that you move the equipment with as stands for your monitors. Make sure you take into account the distance from the screen to the last row of seats in your meeting place. Depending on your setup, you will need at least one projection screen if you are going to use a video projector. They are less than $100.00 on Amazon. Make sure that you get one large enough to be seen at the back of the room. I have written an article on how to figure out how extensive of a screen to get. You can find that article here. It will give you the ratio to use so that people can see in the back and some tips on how to make smaller screens work in a pinch. Live streaming is optional. 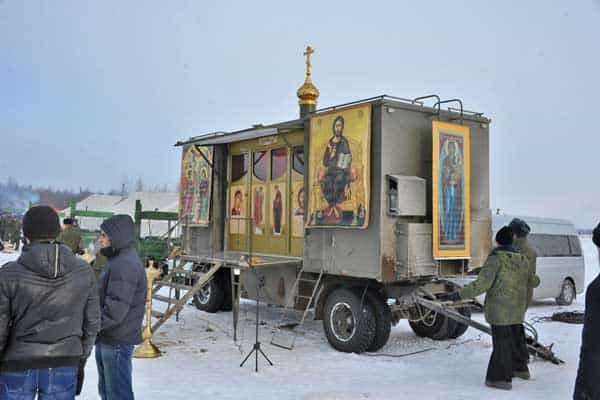 It is not necessary for a mobile church setup. However, it is a good idea all the same. I have written some extensive articles on live streaming that will help you get all set up to go live on Facebook or YouTube. If you are a new church plant, I would highly recommend that you start a live streaming ministry. In my first church plant, 50% of my members came from our video ministry being broadcast on cable access. Live streaming gives you the same opportunity. You can start live streaming with just a cell phone on a tripod, but I recommend as soon as you can to upgrade to an actual live streaming system. It is not that expensive for the equipment and the increased reach your new mobile church will have far outweighs the cost. Some meeting halls like theaters, school auditoriums, and gyms come with stages. However, if there is not a stage available for you, then you are going to need a portable stage. Let me warn you. These are not cheap so you may want to consider that when you are deciding on where to meet. They say a picture is worth a 1,000 words. Well, that is true in stage design. However, you can plan on some of the basics. Place your PA speakers at each end of the stage. 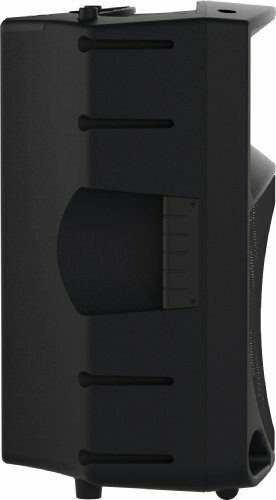 Place your monitors near your vocalists or musicians. 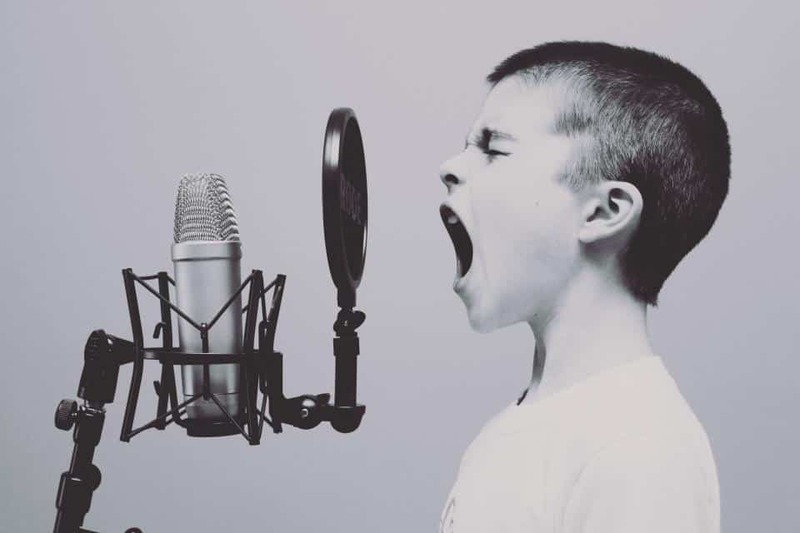 Try to keep your musicians behind your vocalists unless they are the leader of the group. Position your bass guitarist near the drummer and the guitarists and keyboardists together. If you have a wide room, place your projection screens on each side of the stage, and if a narrow room, in the center of the stage. 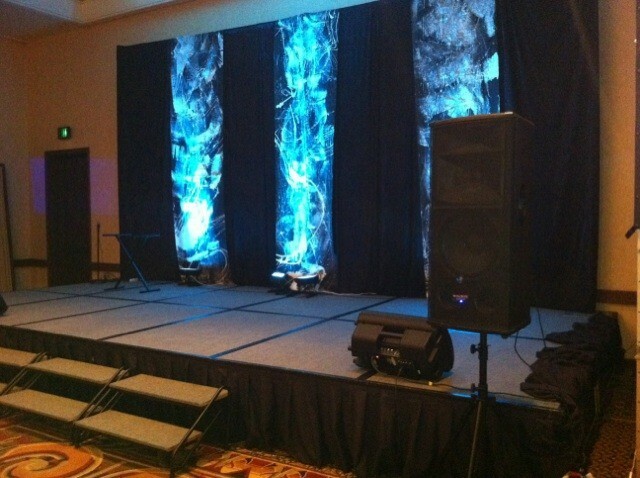 Place a stage backdrop at the back of the stage and stage banners right in front of the backdrop. Stage backdrops are not expensive. You can get them from Amazon for under $50.00 This is an excellent investment for your portable church. Nothing is uglier than a plain wall or doors, or other things on the wall that are not part of your church’s setup. Trust me I know. I once used a gymnasium that had old jerseys of former high school players behind me while preaching. You can place beautiful church banners on your stage for events like Easter, Christmas, or just different seasons or themes. Our church is a charismatic church, and we have banners depicting the Holy Spirit. They can be a real visual enhancement to your mobile church setup. With the portable church, banner stands this is easy to set up and tear down. For a portable children’s ministry, you will want to put together a children’s ministry cart. What I mean by that is that you will want to take an AV cart and convert it into a portable children’s ministry center. That way your children’s workers will be able just to roll everything they need to the room they hold the children’s ministry in. You should probably include things like…. A video player or laptop computer. A children’s church paging system to notify parents in the sanctuary if they are needed. Plastic storage containers for all the supplies. Sunday school curriculum or Children’s Church material. 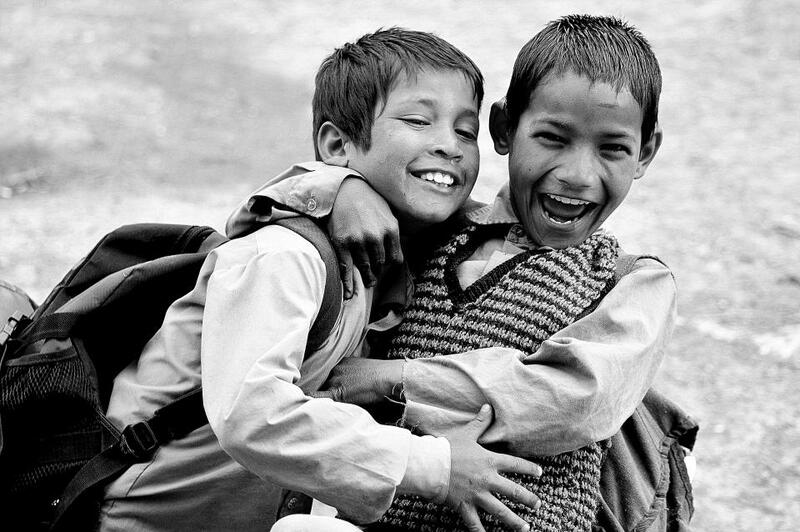 Ask your Sunday School teachers or Children’s Church workers what they will need to serve their kids. The same is true for a portable welcome center. You can use an AV cart like this one that folds out into a table top and has a place for a computer keyboard. If you want it to look a little less spartan, then you can always put a cloth skirt around the front of it. You will want to equip it with …..
Other supplies like pens, name tags, etc. Moreover, of course, the cart I suggested above. You may also want to equip it with a laptop computer so you can track attendance or gather new visitor information for follow up contact. Although your mobile church will probably not look like the one in this picture, you still need to take time to put it all together. After you have gathered all your supplies for your mobile church, make sure that everything can be packed up and placed in some protective container if possible. Use plastic containers, hard shell instrument cases, and hard shell cases for your audiovisual equipment. Go so far as to color code or number the containers and mark each piece of equipment with colored tape corresponding to the case or container they go in. You want your mobile church to be able to be boxed up and ready to be put in a trailer or pick up. Once again, this will save you time and heartache in the future. Well, there you have it. I hope that my first-hand experience in portable mobile churches has helped you get your mind around how you can put together a mobile church yourself. I think you will find that if you follow my advice, you will have saved yourself thousands of dollars in equipment and thousands of staff hours in setting up and tearing down your mobile church.